Most items purchased at Walmart.com may be returned either to a store or by mail, unless stated otherwise in the list of exceptions below by department. Items must be returned in the original manufacturer's packaging. We strongly recommend you keep your packaging for at least the first 90 days after purchase. Items purchased from dealers or resellers and not Walmart.com directly are not eligible for return, refund or exchange. Different departments may have different return policies, check the department below for exceptions. All of the exceptions listed below require the merchandise be returned with a receipt, if returning in store. Must be returned within 90 days. Items purchased at Walmart.com can be refunded with a receipt or exchanged within 90 days of purchase. Most must be returned within 90 days. Must be returned within 90 days if defective or damaged, otherwise not returnable. Non returnable. Do not throw away your plastic Walmart Gift Card or eGift Card email until you are sure of your purchase. Colorado, Massachusetts, Maine, Montana, New Jersey, Oregon, Washington, and Puerto Rico $5 or less. Must be returned within 90 days. Check packaging for ORM-D sticker. If the package/item has an ORM-D (Other Regulated Materials-Domestic) sticker, it must be returned in its original package or obtain ORM-D packaging from the post office. ORM-D items include perfumes, nail polish and aerosol cans. Mattresses - return within 90 days in the original, unopened packaging may be returned to a store or you may contact Customer Care Opens in new window to discuss your return request. If so, see Walmart Marketplace Returns Opens in new window to learn about return and refund options. If you have questions about returning prescription medication, please contact your local store pharmacist or, if you have used Home Delivery, contact our mail facility at 1-800-273-3455. If you decide you no longer want a warranty or decide to return the product itself you can return or cancel your Product Care Plan within 90 days of purchase. See Product Care below for full details. Warranties and Product Care Plans cannot be returned in store, even if the related product is under warranty to a store, contact Customer Service Opens in new window for more details. You can now return items purchased through Walmart.com and some in-store purchases using Mobile Express Returns. This feature allows you to start the return from your mobile device then finish the return at the store. For Walmart.com purchases, select the return method as store to use Mobile Express Returns in-store or select mail to send back. In-store purchases will default to store, no selection needed. See Walmart Marketplace Returns Opens in new window for details about returns and refunds. Bring the item you wish to return to the Customer Service desk. Bring all original packing materials and accessories. If available, bring the receipt that came with the item. Our policy is to refund to original form or payment for receipted returns. Gift Card, eGift Card or PayPal refunds - a refund will be issued to your original method of payment and the funds should be available within 5 business days. Except in states where required by law our Gift Cards/eGift Cards cannot be exchanged for cash. See our return policy above for these states. Most items may be returned within 90 days. For exceptions, see our Returns Policy above. You can exchange your gift or receive a refund by returning it to a store. We are currently unable to exchange or provide refunds for your gift via mail. 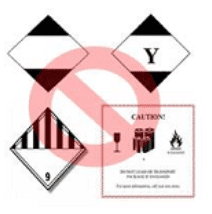 When returning items that are considered hazardous, special rules must be followed. Most hazardous materials may not be returned by mail, but you might be able to return them to a Walmart store. To determine if your item can be returned by mail, follow the steps to return an item. If your item can be returned by mail, you'll be able to select the Return by Mail option, complete the process and print a return label. If not, please return the item to a Walmart store. If your item is labeled ORM-D, it is considered hazardous, but you may be able to return it by mail. Keep your original packaging for at least the first 90 days after purchase. Some returns might require you to return the item in its original container; otherwise, special ORM-D packaging from the post office will be needed. If you want to return an item and you aren't sure if your item is hazardous, please contact Customer Service Opens in new window for assistance, or return your item in person to a Walmart store. You can also check the USPS website to review current mailing restrictions. In case you purchased an item that is considered hazardous from a Marketplace Seller, please contact them directly to discuss the return. Read more on Walmart Marketplace Returns here. If you decide you no longer want a warranty or decide to return the product itself you can return or cancel your Product Care Plan within 30 days of purchase. Warranties and Product Care Plans cannot be returned in store, even if the related product is under warranty to a store, contact Customer Care Opens in new window for more details. If the item was purchased from Walmart.com and not a Marketplace Seller at the same time as the product care plan and the item/order is returned the Walmart Protection Plan will be auto refunded. If your item is replaced within 30 days of original purchase the product care plan will apply to the replaced item. Effective August 1, 2018, all protection plans purchased will be serviced by Allstate, see details at walmart.com/protection Opens in new window . If you purchased a plan before August 1, 2018, contact Asurion at 1-877-968-6391 or asurion.com/walmart Opens in new window for further assistance.